NEW YORK (Dec. 19, 2012) — The most-neglected and least-understood place on Earth is the aquatic ecosystem that covers nearly three quarters of the planet. We know more about the moon’s surface than about the seafloor, more than 95 percent of which remains unexplored. Israel, of course, is home to four seas — the Dead Sea, the Galilee, the Mediterranean and the Red Sea — and since both the majority of people and the majority of Jews worldwide live near the sea, we as Jews and as people are inextricably linked to the sea. But the sea is in trouble. Increased carbon in the atmosphere isn’t just warming the whole planet, the sea included, it’s acidifying the sea as it absorbs more and more excess carbon from the air. The one-two punch is wrecking havoc on phytoplankton, which is not only the foundation of the food chain but also the source for half of the oxygen we breathe. The Great Pacific Garbage Patch — a concentration of floating trash in the Pacific — may be as large as twice the size of Texas, but no piece of the sea is untouched by floating garbage. The nitrogen in sewage and fertilizer runoff is causing algae blooms, and the bacteria that eat the algae are deoxidizing the sea. Combined with overfishing, it’s estimated that the sea may be fishless by 2050. Basically, three quarters of Creation is in peril. Hillel taught us that we can’t stand by idly, that no matter how great the task, we cannot desist from it. 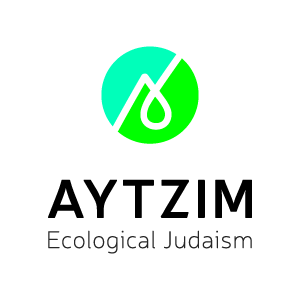 So we’re joining a team: The Green Zionist Alliance is proud to become the first Jewish organizational member in the National Religious Coalition on Creation Care. While NRCCC representatives come from different faiths, we all share the same core values, as well as the belief that our religions compel us to protect the Earth. And together we are developing an interfaith ethic of the seas. So far, we have met in Washington and Hawaii with leadership at the National Oceanic and Atmospheric Administration, members of Congress and policy advisers at the White House. We have taken it upon ourselves to represent the religious voice for the sea. As people of faith, we stand together for the sea and all Creation. Support for this project was provided in part by Siach, NYU’s Hannah Engle Memorial Travel Fund, and generous individual donors.